England seem to be making a habit of producing young, talented players by the dozen nowadays. The number of promising youth on display is very encouraging for the country as a whole to see. 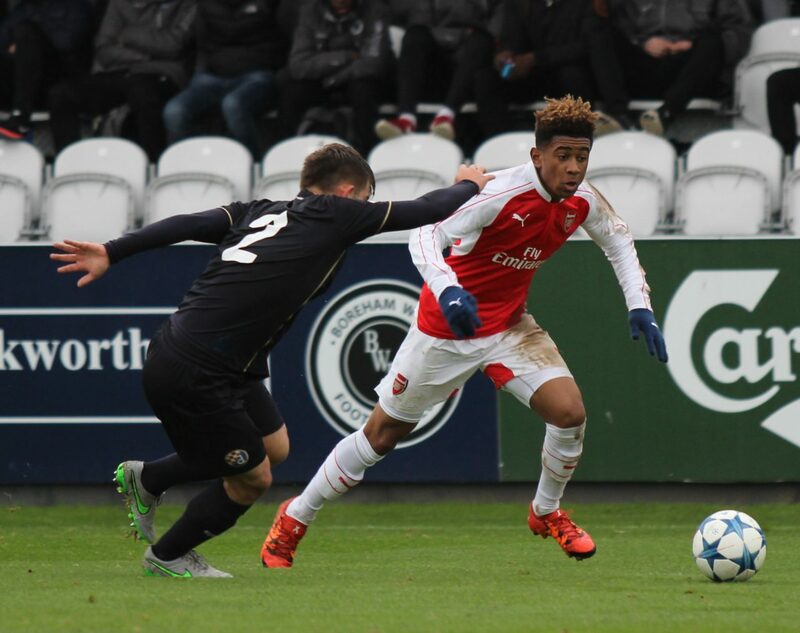 One name that has garnered lot of attention in recent months is Arsenal teenager Reiss Nelson. At 5’7, he isn’t the most imposing of players but this actually works to his advantage. Having a low centre of gravity for a winger is more of a blessing than a problem. Coupled with his dribbling skills, you have yourself one really talented individual. Currently, the only shortcoming one can see in his game is his shooting, which should improve over time with experience. He was born in London just 21 days before the turn of the millennium to a Zimbabwean Father and an English Mother. Growing up, football was a part of everyday life for him. In his own words: “We would go to the football pitch near my estate and play until it was dark”. He also spoke about growing up playing against older people saying “When you play with the older people it helps you mentally because they’re bigger and stronger than you. You have to live up to that. There are no referees there, so you don’t get any fouls. You grow up faster in a place where anything goes”. This is much in tandem with his playing style. Predominantly an attacking winger, his diminutive figure and low centre of gravity help him move and dribble past defenders with ease. Growing up, he played in the London Youth Games, representing his Southwark district along with another player to be featured in this series, one Jadon Sancho. Ever since they have played that tournament, the two of them have been the best of friends. On that, he said “So when I was about eight years old I heard a story that there’s a guy called Jadon Sancho, he’s from an area that’s only two minutes from where I live and he’s very good blah blah blah… and I was just like ‘yeah okay then’. So they put us together in a team for a match one time and it was just crazy. Since then we’ve been best friends, grown up together”. The two of them now play in the same country and it is good to see that their friendship has lasted. 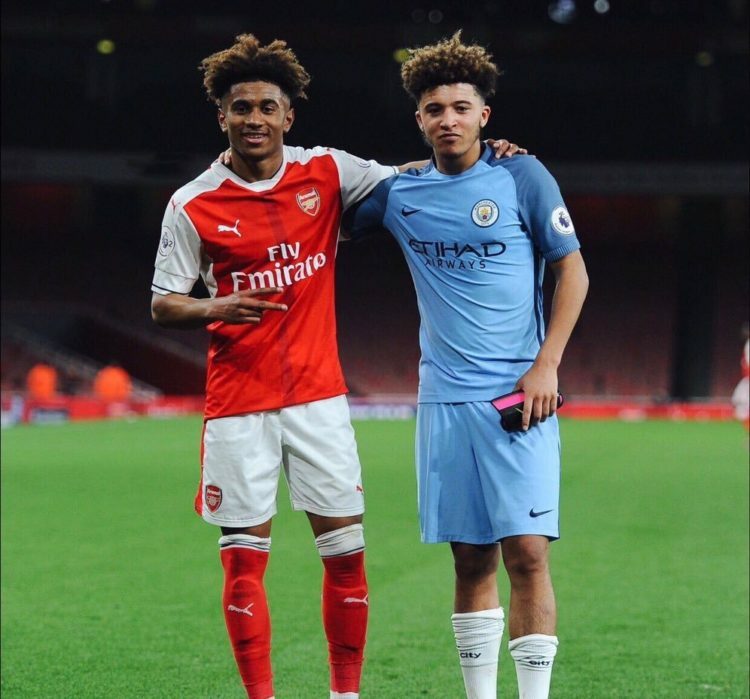 Reiss joined the Arsenal academy on a 3-year contract aged 8 when his sister brought him there. Ever since he has risen up the ranks to become an academy star. Martin Keown said of him “He showed the sort of touches you often see or associate with a Neymar or a real top player. Seventeen years of age, it’s quite phenomenal that ability this boy has, he really does look a wonderful talent”. When an Arsenal legend speaks so highly of an academy player, more often than not, that player succeeds. His best performances came at the Under-23 level as a young 17-year-old. His record reads 17 goals and 11 assists in 38 games at the U-23 level. This is very impressive for a winger. He was evidently punching above his weight. He made a smart choice by coming to the Arsenal academy. Arsenal are a club historically known for giving chances to youth. In recent years, Hector Bellerin, Alex Iwobi notably have made their way up to the first team. Internationally, he was part of the U-17 team which reached the quarterfinals of the UEFA U-17 tournament in 2016. He scored 3 goals in 4 games and was included in the team of the tournament. Post that, he played a qualifier for the U-19 European Championship where he scored 2 goals. He has never represented the three lions at the senior level. 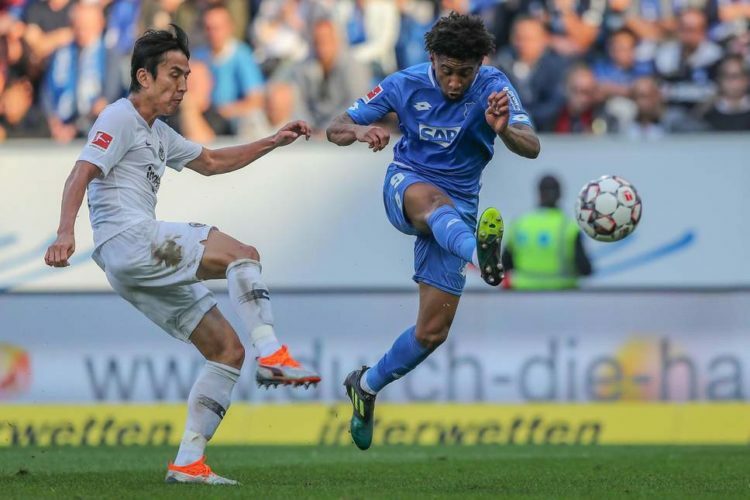 If he continues his rich vein of form at Hoffenheim, it will only be a matter of time before Reiss makes the step up. Interestingly, Reiss is also eligible to play for Zimbabwe. Although, he seems focused on the goal to represent England, the country that he grew up in. 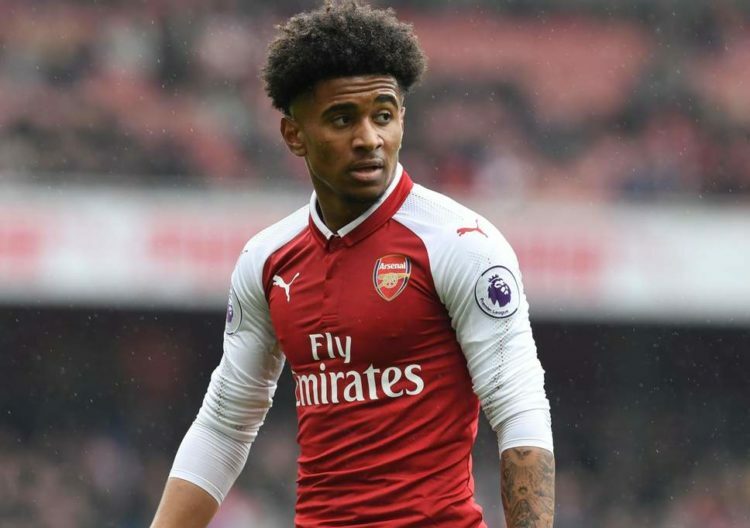 Nelson made his first competitive appearance for Arsenal in the FA Community Shield match vs Chelsea in 2017. Former manager Arsene Wenger was quoted saying “He has shown that he can dribble, go past people and he isn’t fazed by the occasion.” Wenger is known to be somewhat of a master when it comes to helping young talent coming through the ranks. It is said that Wenger gives freedom to his players in order to express themselves on the pitch. According to him, that is very important for the growth of a player. The big moment arrived for him over a month after his 18th birthday, in the Premier League when he came off the bench vs Crystal Palace in a 4-1 home victory for Arsenal. He impressed the Gunners’ faithful with his brave play going forward. Although, he has not registered a goal or an assist for the senior team in a competitive game, owing t the fact that he was predominantly used as a wing-back. Wenger reverted to a 3 man defence in 2017-18 where Reiss was asked to play as a right wing-back in many games. This added defensive responsibility which is not natural for Reiss. Hence, he was unable to showcase his true talent that season. Players of his need game time and good guidance. At the end of the 2017-18 season, Reiss had to make a decision. 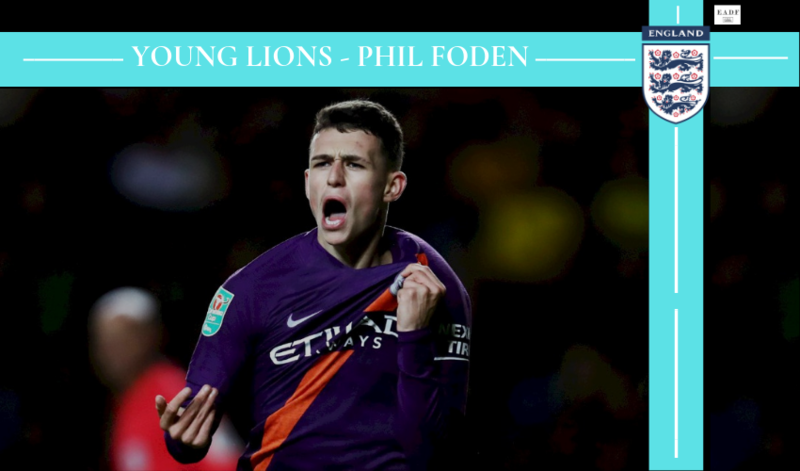 He could either stay at his boyhood club and hope for chances in the first team, or he could make a loan switch to another club where he would be more likely to get first-team opportunities. This was a potential make or break decision in his career. The example was already set for him when he saw his close friend Jadon Sancho leave Premier League Champions Manchester City to join Borussia Dortmund, who are known to have faith in their young players to do the job for them. Reiss knew that his long term goal was to play for his boyhood club and hence he chose to move for first-team football. He first committed his long term future to Arsenal, signing a 5-year contract at the end of the 17-18 season. Soon after that, a decision was made wherein he would move abroad to Hoffenheim, in the Bundesliga on a one year loan. 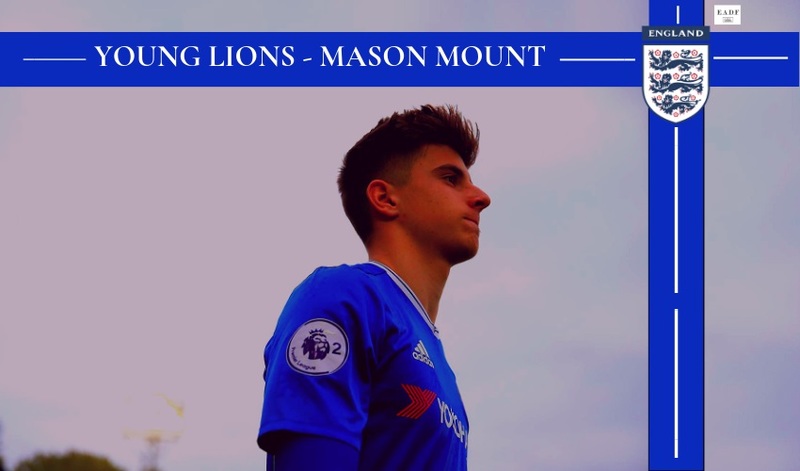 Most young English players prefer to ply their trade in England instead of going abroad, but Reiss decided to take the challenge much like his compatriot Jadon, gain valuable experience. The development process abroad is significantly different from that in England. Going to a foreign land, one experiences more personal development in an environment different from that at home. Both Arsenal and the Reiss were lauded for the selection of Hoffenheim as his loan destination. Hoffenheim are a club, whose philosophy are aligned to Arsenal in terms of playing attractive and attacking football. Their manager, Julian Nagelsmann is one of the youngest professional football managers at the age of 31. You can read this article on him, which reiterates why Nelson made a great choice by going to Hoffenheim. 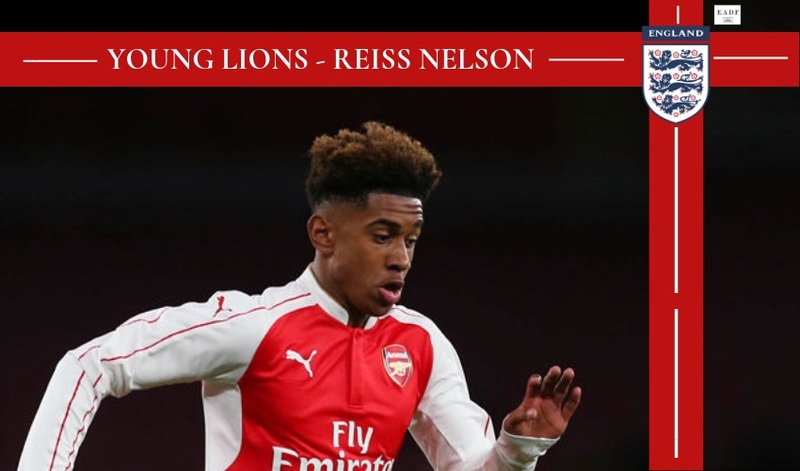 Nagelsmann has had encouraging things to say about Nelson – “He has great potential to develop. That’s why we loaned him in the first place. He’s an incredible player in one-on-one situations”. Nagelsmann is the right manager for Reiss because he challenges Nelson to perform well every week. Reiss is not a guaranteed starter there. Even if he has a good game, with Nagelsmann it’s all about the follow-up game. The performances seem to echo the positive energy Reiss depicts in his interviews. His life in the Bundesliga started with a bang. 4 goals in his first 5 Bundesliga appearances with a majority of them coming off the bench. He has shown that he is ready to learn under Nagelsmann. In total, he has 7 goals and 1 assist in 21 appearances (A goal contribution every 79 minutes) in all competitions which is an encouraging return for a 19-year-old winger who is not a guaranteed starter in his first senior season in Germany. The most encouraging thing about him from the perspective of English fans is that he wants to come back to England and make a name for himself here. The truth is that if he had been at Arsenal, he probably would have been starting more often than initially thought considering Emery’s openness to starting youth and the available resources on the wing. He would fit right in the 4-3-3 on the right-hand side in place of Mkhitaryan who has had an inconsistent season and is currently out due to injury. Considering the current injury crisis at the club, Arsenal are more in need of him than anyone else. However, since there is no recall clause in the loan agreement, he will have to complete his season at Hoffenheim which is actually not to bad a proposition; considering the fact that he has grown leaps and bounds at the club over the past 6 months. Sky’s the limit for this young man and he has only begun to ROAR! Youth Academy Image via Overtime online. Premier League Image via Independent. Nelson Hoffenheim image via standard. Meet Varun, being a 22 year old Mumbaikar his love for football began at one of Mumbai's most famous grounds, Priyadarshini Park. Ever since he watched Thierry Henry terrorize English League defences it's only been about one club for him, the famous red and white of the Arsenal. But it's not just football that he likes, a thorough sports fan he is following Football, F1, Cricket, Basketball, Tennis, Baseball and American Football. Like most young Arsenal fans, he too looked up to Arsene Wenger as one of the greatest managers of our time. Being a CA Student may have taken much of his time but you have to make time for some things and making time to watch the boys in red and white go out and put on a show is one of his favorite ways to de-stress from his studies. He is absolutely obsessed with FIFA statistics, so if you ever want to know exactly where the differences are between Ronaldo and Messi on FIFA, he is your go to guy. Although he does predominantly watch the English League, never underestimate his knowledge in any other foreign leagues, he loves understanding market trends which is why even though there is no football in July, it is one of his favorite months of the year to analyze price and transfer trends.